What a truly amazing experience. This was my first visit to Bergen in Norway and the hospitality of everyone I met over the weekend was quite overwhelming. Not only is Bergen the most beautiful city on the water (apparently we were very lucky and blessed with blue skies and sunshine), but also the people of Bergen were warm and welcoming. Organised by Kjetil Hansen and Nils Henriksen, this was the 5th year for Cognac Expo and what an impressive and outstanding job they both did. With a record number of people attending this year, 680 compared with 450 in 2015, Cognac Expo is quite evidently going from strength to strength. What should also be pointed out here is that this was all about cognac. There were no other spirits, no wine producers etc. For 680 people to be interested enough in cognac alone to come from all over the country (and from abroad) shows just how passionate the Norwegians are about this magical golden and noble spirit. Kjetil and Nils are major cognac fans and wish to share their passion with others. 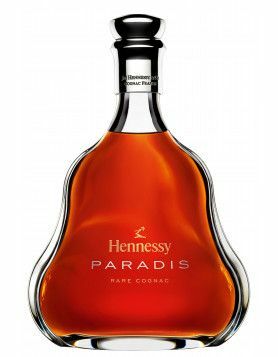 Their goal is to gather as many people as possible to explore the wonderful world of cognac. 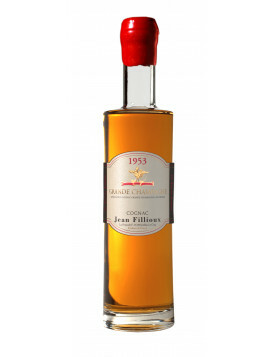 They have visited Cognac countless times, and they have got to know producers and master blenders well over the years. “If you have to travel to Cognac and visit all these producers yourself, it will take a lot of time and cost a lot of money. At Cognac Expo, you have the opportunity to meet all the producers, and you are able to talk to both owners and Master Blenders”, says Kjetil Hansen, Cognac Expo’s General Manager. His friend and companion Nils Henriksen is Chairman. The evening before Cognac Expo opened, some forty very lucky people attended EXTREME masterclass, and it was precisely that. We tasted eleven cognacs, and they were all extremely rare. Cognacs from 1914 to 1965 were presented and we even got to taste pre-phylloxera 1860 Grande Champagne. What I love about Kjetil and Nils is that for them cognac is not just a hobby, it is a passion and they will move the earth to spread the cognac word and help people explore the world of cognac fully, not to mention giving fortunate people like me the opportunity of tasting cognacs that are of course nigh on impossible to find, let alone drink. And they will never be beaten. 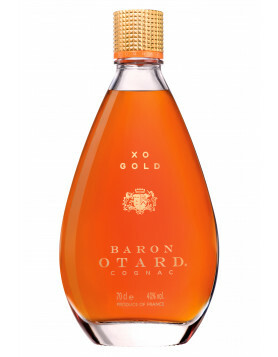 If someone says that finding a particular cognac is not possible, then they will find it, no doubt about it! Next year EXTREME masterclass will be on 20th October 2017 and the theme will be World War One and World War Two. Impossible I hear you cry? Not for Kjetil and Nils. I suppose my only comment about the EXTREME masterclass would be the fact that I was the only female in the room … come on ladies, I’m sure you can handle some extreme cognac tasting too! This was also a unique weekend that saw the reunion of six BNIC Cognac Educators from the class of 2016 of which Kjetil and Nils are two; myself, Reinhard Pohorec, Lauranie Nonotte and Germain Canto the other four. Reinhard and Lauranie both held masterclasses and Germain, Cognac’s top bartender prepared cocktails served in official BNIC glasses throughout the day. Of course I know that the Norwegians love their cognac and their link to it historically goes back hundreds of years. Being based in the UK, what amazed me the most about Cognac Expo was the difference in attitude towards cognac. The UK may be the fourth largest importer of cognac in terms of statistics, but the day I am surrounded by so many knowledgeable and enthusiastic cognac lovers in one day in the UK I will be a very happy bunny indeed! I really have never experienced being surrounded by so many cognac lovers. In fact it is more than that, cognac fanatics is probably more accurate a description. From the minute the doors opened, Cognac Expo had a totally unique atmosphere where everyone was happy and in cognac heaven. The hall was filled with cognac houses, owners and their representatives. Near on forty houses participated big and small from Bache Gabrielsen, Camus, Martell, Delamain, Courvoisier, Rémy Martin to smaller family-run houses such as Jean Fillioux, Château de Montifaud, Maxime Trijol, Château de Plassac, Château Beaulon, to name a few. Of course there were also some famous names in the cognac world in attendance too: Kim Birkedal Hartmann, Richard, Patrick and Eva Braastad, Herve Bache Gabrielsen, Catherine Vallet, Christophe Fillioux for example. Unfortunately there were not enough hours in the day to attend everything, but the programme of ten conferences and masterclasses to choose from was extremely impressive and were hosted by: Braastad, Forgeron, Tesseron, Jean Grosperrin, Château de Montifaud, Jean Fillioux, Leyrat, Delamain, Deluze and Lheraud. 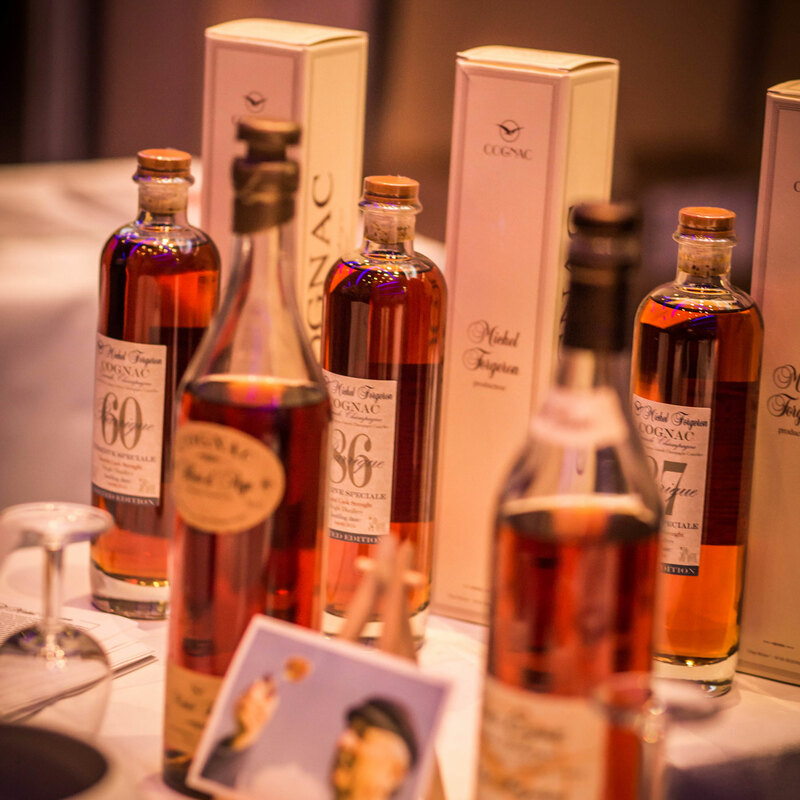 More than 400 of the 680 guests attended one or more of these conferences providing such a great opportunity for cognac houses to really engage with customers and vice versa; a rare opportunity for all visitors to meet the people who produce their favourite cognacs. Having already mentioned the lack of ladies at the EXTREME tasting, and the main hall was also very male dominated, but there were two particular conferences specifically aimed at ladies and they were well attended. Chocolate Sommelier and fellow BNIC Educator (now Rémy Martin Ambassador) Lauranie Nonotte presented a fascinating and interactive chocolate and cognac tasting for ladies filled with delicious chocolate and cognac! Reinhard Pohorec, BNIC Educator, Sensory Expert, Bartender and Author, held ‘The Female Side of Cognac’ session that explored different cognac cocktails and their flavour profiles, as well as common misconceptions about cognac and how feminine cognac in fact is. An extremely impressive closing ceremony finished the main fair off perfectly with a local drumming band starting and finishing proceedings. Awards were presented to winners of the best cognac categories of the day, voted for by the visitors of the fair. 177 of us were then all treated to a delicious 3-course gala dinner. To say it was a fantastic and extraordinary day is quite an understatement. I suppose my only suggestion would be to have Cognac Expo run over two days instead of one, and then I could meet more people, drink more cognac and go to more masterclasses!